The End of Three Terraced Split Level Houses in a Quiet Cul De Sac. 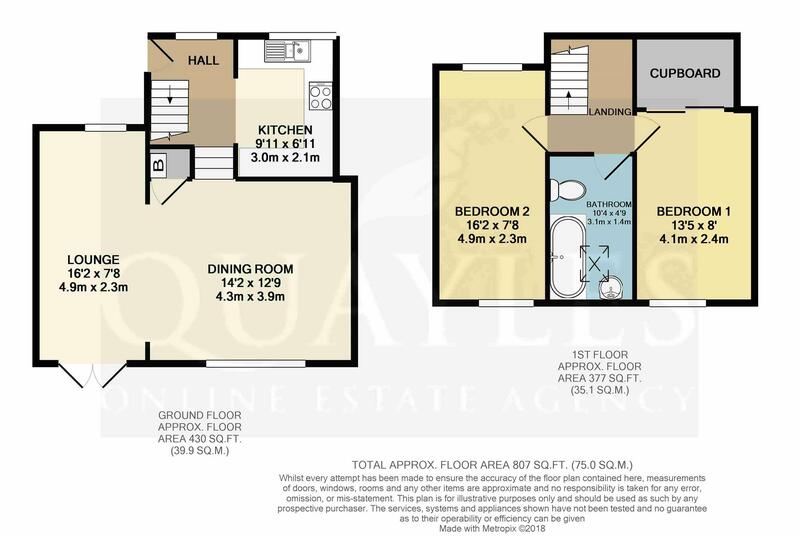 Extended by the Current Owners to Provide Spacious Accommodation. 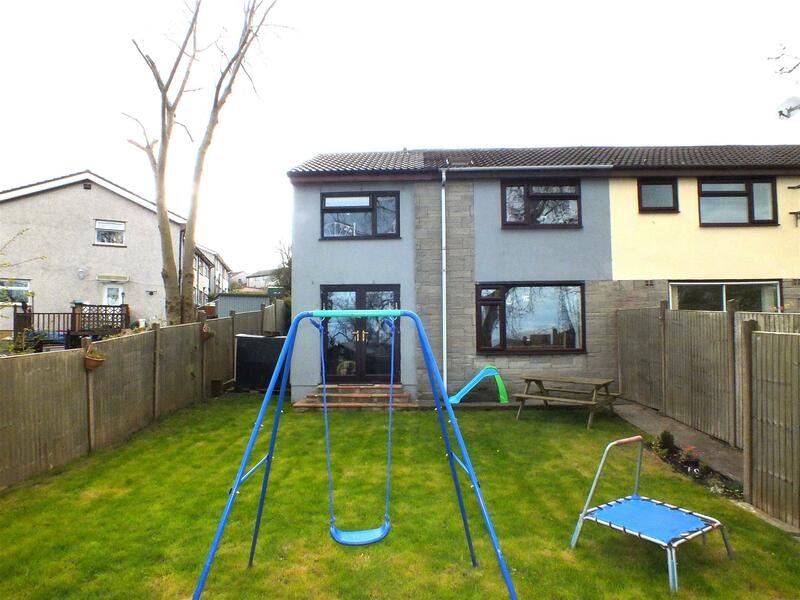 Close to Local Shops, School, Doctors, Pub & Main Bus Route to Douglas. Comprising Ground Floor Entrance Area & Modern Kitchen. Lower Ground Floor - Superb 21ft10 Open Plan Lounge and Dining Room. 1st Floor 2 Double Bedrooms (1 with Deep Storage Space) & Modern Bathroom. Open Plan Frontage with Hardstanding for 1-2 Small Cars. Generous Enclosed & Lawned Rear Garden Enjoying Distant Hill Views. From The Quarterbridge roundabout head South along the New Castletown Road. Continue through the first set of traffic lights and on to the second, taking a right turn into Anagh Coar Lane. Follow the road up and around, past the shops and take a left turn after Springfield Grange Nursing Home, into Ballaquark. Continue ahead, taking the first turning on the left where number 126 will be observed in the top left hand corner, being clearly identified by our For Sale board. Please note - the entrance door is located behind the gate at the side of the property. Having a uPVC entrance door with a glazed insert and front uPVC window. Cupboard housing the gas and electric meters along with the consumer unit. Coved ceiling. Smoke detector. Stairs to the first floor. Telephone point. Part glazed door to the inner hall. Clear opening to the kitchen. Steps down to the open plan living space. Fitted with a range of light wood effect wall and drawer line base units together with laminate work surfaces incorporating a 1 1/4 bowl stainless steel sink with a mixer tap. Inset four ring halogen hob and built in 'Beko' electric oven (replaced October 2016) with a brushed steel canopy extractor above. Plumbed for a washing machine, space for a tumble dryer, fridge and freezer. Front uPVC double glazed window. Background tiling. Coved ceiling. Wood effect laminate floor covering. A flexible space which could be reversed depending on the occasion. The smaller area is currently utilised as a cosy seating area and was added by the current owners in 2015. Hi gloss wood effect laminate floor covering throughout. Enjoying far reaching views across Douglas town via a large uPVC picture window. Feature fireplace with a modern inset electric fire. Coved ceiling. Built in understairs cupboard housing the 'Vaillant' gas fired combi boiler (installed approx 2014) and carbon monoxide monitor. Clear opening to the lounge. Enjoying a pleasant out look and access to the rear garden via uPVC patio doors. An additional uPVC window provides further natural light. TV point. A further addition to the property, again circa 2015. A double room which can easily accommodate twin single beds. Dual aspect with uPVC double glazed windows to the front and rear. Fully tiled and fitted with a contemporary white suite comprising double ended panelled bath with a mixer shower over and curtain rail; Pedestal basin and push button flush WC Shelved recess. Space for a storage unit. 'Velux' roof light. Extractor and vinyl floor covering. A further double room with a uPVC window to the rear enjoying distant sea views over Douglas town. Light on a dimmer control switch. Laminate floor covering. Sliding doors access an exceptionally deep storage space with potential to become a half height wardrobe with storage behind. To the front of the property is an open plan lawn with steps down to an enclosed entrance area. A concrete hardstanding provides parking for 1-2 small cars. A well fenced area which has been laid to lawn and benefits from gated access to a pathway which leads to the main road.